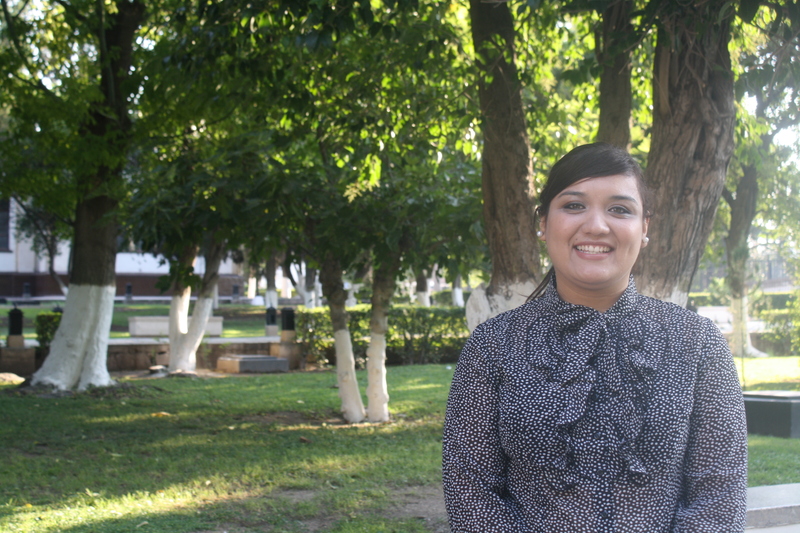 Ana Gabriela was a master’s student in Science and Food Technology at Autonomous University of Coahuila. Her research project was: Production and characterization​ of Macrocystis pyrifera oligosaccharides​ as potential source of in food industry. • Research Stay at the Jacobs University, Germany, 2014. • Research Stay at the Institute of Food Science Research (CIAL) (CSIC-UAM), Campus de la Universidad Autónoma de Madrid, Spain, 2015. Fields of interest: Macroalgae, Green Technologies, Sulfated polysaccharides, Oligosaccharides​. • 2017. Ana G. Victorino-Jasso. Production and characterization of oligosaccharides of Macrocystis pyrifera with potential of application in Foods. Master Thesis. School of Chemistry at the Autonomous University of Coahuila. Saltillo, Coahuila, Mexico. • 2016. Rosa M. Rodríguez-Jasso, Ana G. Victorino-Jasso, Héctor A. Ruiz, Cristóbál, N. Aguilar, Mar Villamiel. Macrocystis pyrifera sulfated fucans oligosaccharides by hydrothermal microwave process: extraction and chemical and biological characterization. BIOIberoamérica conference, Salamanca, Spain.